Editor’s note: Disability ministry is one area in which women are often called to serve in leadership positions and many of the available resources intended to support families are written by women, for women. As an example, fewer than 1,500 of the 17,000 followers of our ministry’s family support page are men. If the needs of families affected by disability are all too often ignored in the church, the needs of men from families affected by disability are most likely to be ignored. Jeff Davidson was a pastor and the father of a son with special needs who was called by God to be a missionary to the special needs community – especially men raising children with intellectual or developmental disabilities. Jeff and his wife (Becky) launched a monthly worship service for families of individuals with special needs in their hometown of Cookeville, Tennessee during the fall of 2005. Shortly thereafter, the local ministry was providing faith-based support groups, weekly Bible studies, and regular family outings and activities. The ministry grew to the extent that Jeff left his full time staff position at church in 2010 to join his wife in launching Rising Above Ministries, a national ministry to bring the love of God and hope in Christ to special-needs families with support, encouragement, inspiration, and community. Jeff was passionate about providing opportunities for Christian community for fathers of kids with intellectual and developmental disabilities. We invited him to write guest blogs for Autism Awareness Day and Father’s Day. Sensing the need for someone to speak into the unique spiritual and marital challenges of fathers, we hired Jeff to blog about issues relevant to fathers. Around that time, he received the vision for a book that would serve as a field guide for men to help them navigate the challenges of serving as a husband and a father in a family affected by disability. The team at Kregel Publications also recognized the need for such a resource, and signed Jeff to a contract to write The Special Needs Dad. The check for his advance had arrived at his home on the day Becky got back from the hospital after Jeff’s very untimely death in May of 2017. Within a week, Jeff’s literary agent had reached out to me (and others) because everyone involved with the project wanted to find a way to honor Jeff’s legacy and publish the book in his absence. After an appropriate time, they reached out to Becky who provided them with the content Jeff had already written for the book. The book Jeff intended for fathers, Common Man, Extraordinary Call: Thriving as the Dad of a Child with Special Needs is being published next week and will stand as part of the legacy of his ministry. The book is available through Amazon and other fine retailers. Jeff was a true champion of fathers of kids with special needs. His ability to speak into the lives of men struggling with the feelings of hopelessness common to dads in families impacted by disability is irreplaceable. Get the book for any dad in your life raising a child with an intellectual or developmental disability. His words of wisdom will be a blessing to men who missed out on knowing him in this life. You have a choice, Dads. You can be like me and wallow in anger, denial, blame, and your own obsession to fix the brokenness. Or you can embrace the brokenness with unconditional love. Embrace your child with special needs just the way God created your child, and love him or her unconditionally and passionately with all your heart. When you make that choice, you will realize that God has called and chosen you for a unique mission. God has placed you on a mission for your life and He desires to equip you for one of the most amazing experiences you could ever imagine. I have seen dads never recover from their initial anger. I have seen dads wrestle all their lives with the blame question, and I have observed dads struggling with acceptance because of their denial of their children’s issues. Anger, blame, and denial will keep you from embracing your situation, accepting your child, and choosing to love and parent unconditionally. When you lay down your personal issues, you will realize there is nothing your child can do or achieve that will ever make you love him any more than you already do. You will love him simply because he is your child. I’ve been the dad of a child with profound special needs for over eighteen years now. I’ve come to treasure the sometimes small but exceedingly joyful moments that this journey has to offer. I’ve also learned to weather the walks on the dark side and recognize the triggers that set me off on that journey. But to this day, I regret the early years when I allowed my anger, denial, and obsession with fixing my son to rob me of the sheer joy of just being my son’s dad. Eventually I came to understand the only statistic that really mattered; I have one son—and he had autism. So I made a decision. A choice. I chose to love my son unconditionally just the way he was—autistic. I chose to embrace his differences, accept his challenges, and love him for who he was—my son. I chose to go into his world and engage with him without reservation and qualification. Autism is just a label. Just like the word son. The former word describes him, but the latter word defines him. My son is completely dependent on me for everything in his life. From the moment he wakes up until the moment he drifts off to sleep at night, my wife and I have to provide for his every need. He is incapable of surviving this world without us. He’s utterly helpless on his own. Without me in his life, he cannot survive; he won’t survive. I love him because he is my son. Not because he has done anything to deserve or earn my love. In fact, there is nothing he can do or achieve that will make me love him more than I already love him. He is my son. I created him. He belongs to me. That’s why I love him. I love him simply because he is mine. I challenge him, I teach him, and I pour myself into him daily. All throughout the day I encourage him, affirm him, and express my unconditional love for him. I think about him all day long. I know his thoughts, his mannerisms, and his needs so well. Even though there is nothing that could make me love him more than I already do, I love him too much to leave him the way he is. Like all sons, there are times he makes a real mess out of things. That’s when I have to step in and clean up his mess. That’s what fathers do for their sons; they help them clean up their messes. I believe in him despite his challenges. I embrace his differences because that’s how he was created. I believe he is fearfully and wonderfully made, created for a plan and a purpose, and that he is destined to glorify God. He is my son. So I am his warrior, protector, provider, encourager and equipper. God has created and equipped you to become the warrior, protector, provide, encourager, and equipper for your children and your family too. The first step in becoming the special needs dad God calls you to be is understanding that God has called you and placed you on a unique mission for your life. Common Man, Extraordinary Call offers growth and hope for men with little free time. And as they process their instructions, they’ll be able to mentor other fathers, creating a strong army of men who not only survive but thrive as capable dads to their children with special needs. 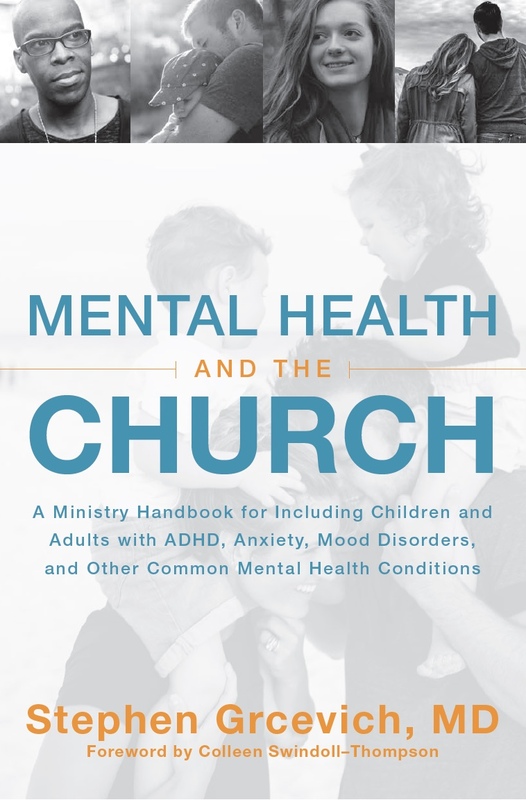 Available through Amazon, Barnes and Noble and Christian Book. 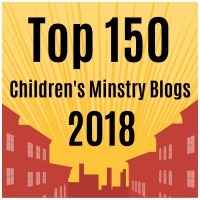 This entry was posted in Resources, Special Needs Ministry and tagged Common Man Extraordinary Call, Disability Ministry, Jeff Davidson, Rising Above Ministries, special needs dads, Special Needs Ministry, Special Needs Parenting. Bookmark the permalink.